Paul is without doubt – one of the most experienced, entertaining and informative presenters Australia has produced. Since graduating as a Physical Education teacher in 1987 and then as a physiotherapist in 1990, Paul Wright has opened multiple multi-disciplinary health clinics, closed one, been locked out of another and eventually sold them all. Paul has been a professional speaker and educator for more than 20 years, having lectured to over 20,000 health professionals and business owners - and even found the time to win multiple titles as a competitive bodybuilder. Paul Wright is living proof this “Ultimate Health Business Lifestyle” is possible. At one stage he owned 6 successful health clinics, still spent more time at home than his wife preferred, never missed a school concert or sports carnival, and visited his clinics for only a few hours each week. While doing this he did not even live in the same city as 5 of his clinics! 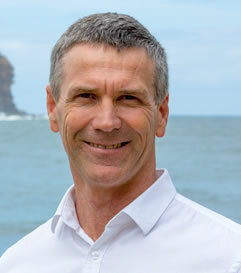 Since selling his health businesses Paul now prefers spending even more time with his family and friends, at the beach, or at home working on the Million Dollar Health Professional Program, Profit Club, One on One Coaching, The Practice Acceleration Program, presenting live seminars and working on his PhysioProfessor.com online education portal. He has an incredible ability to make complex issues seem easy and to leave all session attendees with take home strategies and techniques that they can put into practice immediately. This session is jam packed with the 12 key steps to running a successful health business – and is a blueprint all health business owners can implement immediately for massive results. There is nothing more disheartening for a health professional to put 20 years of blood, sweat and tears into their health business – only to close the doors or sell it for next to nothing when the time comes to move on or change your focus. This session is for all health business owners looking to buy, develop or eventually sell their health business for a great price. In this presentation Paul will shares his 10 top reasons why health professionals operate poor businesses and what to do about it, the 4 key ways to make more money from your business, how to convert leads into customers in one easy step and how your team and reception staff are costing you a fortune every day. This incredible session outlines the 8 steps Paul took that allowed him to run his six health clinics remotely – at one time he only visited his clinics once in 60 days – and they made more money than ever. Don’t be a slave to your business – learn the secrets to business freedom from someone who has done it. Staff issues are without question – the major issue facing health business owners – in this session Paul shares his top 20 hiring mistakes, why you are wasting 90% of your recruitment time, the secrets to a great interview, and the “warning bell” signs that someone will be an employee disaster. Health professionals are renowned as great practitioners but terrible marketers. In this session Paul shares the secrets to effective marketing, why traditional marketing is dead and the 20 biggest marketing mistakes – most health professionals still make every day. In this presentation Paul explores why you need to get your head right about making money in your health business, who the stakeholders are in your business and why you have a moral obligation to succeed, the power of words and the critical conversations that can ruin your business, a business philosophy that can change forever the way you operate, the 3 health business breakthroughs, and how to make extra income with no extra effort. You can see previews of these and other sessions at Pauls technical DVD section. Enquire About Paul’s Availability HERE !! "How to Increase Profits from Your Health Business"
"How to Get Out of Your Health Business and Have More Life"
"Hiring, Firing and Retaining Health Professionals"
"Core Stability and the Better Back Program"